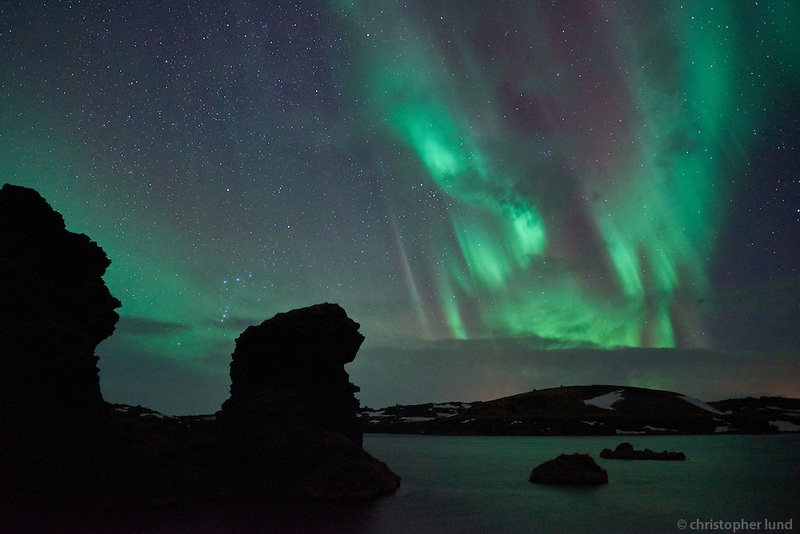 Northern Lights over Kálfastrandarvogur bay in Lake Mývatn. Kálfastrandavogur has unusual lava formations, both off- and onshore. These rocky outcrops are named Klasar and Kálfastrandarstrípar.